Once a year we all do this ritual called spring cleaning. This is when we shake off winter and make our homes feel fresh and renewed. Some of us feel this urge the moment temperatures start to rise, others prefer to do their home renewal and cleaning in summer or even fall. 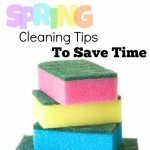 No matter when your cleaning clock tells you it is time, we have the top ten tips to help your home feel clean and fresh. Declutter First: Go through your home and look around if you see things you haven’t used in six months to a year, if you haven’t used it, it is probably time to get rid of it. Clean from Top to Bottom: This is one of the best pieces of advice my mother ever taught me. If you start up high the messes go down and you will never be dirtying up something you already cleaned. Bust the Dust: Dust collects everywhere so check your fans, light fixtures, blinds, the tops of window treatments and the tops of cupboards. Vents and Registers: Another place dust loves to hang out is in air vents and registers. 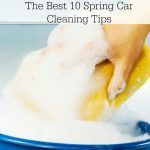 Often to really get these clean you need to remove them, soak them in water with a little of your favorite cleaner to remove all of the accumulated dust and grease. Floor Boards: Vacuuming along all of the floor boards using your vacuums crevice tool where ever your carpet, tile or other flooring meets the trim will help get out all of the accumulated dirt and grime. Cabinets: Cabinet doors can accumulate a lot of grease and grime so when you are going through your home to make sure it is clean and refreshed you will want to wipe down all of the cabinets. 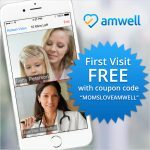 Walls: If you have kids, this might be a big task, but at least once a year you want to clean up your walls. Pay special attention to areas near light switches and entryways. 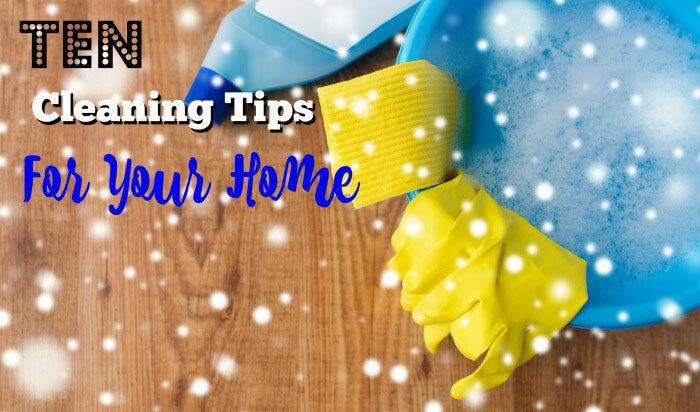 If you have a lot of dirt and grime on your walls you can use a mop to cover a larger area faster. Carpets and Floors: This is when you steam your carpets or tile and condition your wood and laminate floors. Window Treatments: If you only have blinds you already did this when you dusted. If you have other window treatments like curtains and swags this is the time to throw them in the wash or take them to the dry cleaners. Doorknobs, Light Switches, and Outlets: Just like your walls and cabinets you will want to clean and sanitize your doorknobs and light switches. If the cover plates for your switches and outlets don’t come clean easily you can consider replacing them. 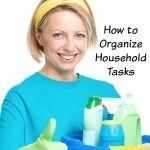 This list is a great start to cleaning your home from top to bottom, but it is not a comprehensive list for a complete cleaning. 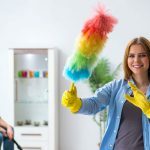 If you are looking to really spring clean use this comprehensive spring checklist to ensure that you haven’t missed anything for a perfectly clean home.